I know it’s (only) April, but with just seven weeks of school left, my mind is on the finish line – summer! I don’t want to think about database renewals or cleaning the mess that is the workroom, nor do I care to give another thought to the book hospital that is overflowing with patients or the inventory that is calling my name. That can all wait until tomorrow (or the next day). No, right now, I’m planning summer reading! For the past two years, I have created recommended summer reading magazines – my favorite picks from the year (here’s 2015 and 2016). I include them in my end-of-the-year library newsletter and send black-and-white copies in our end-of-year reports which go out mid-June. I print some in color and place them on our Parent bookshelf in the lobby, so that all who walk by can see and take them. I have ideas in mind for this year’s magazine, but I want to do more – I want this year’s summer reading to be interactive. 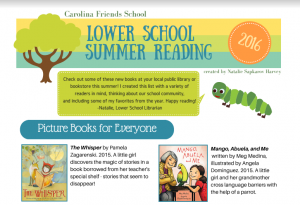 Lower school students do not have required reading over the summer, but I know they are reading voraciously. 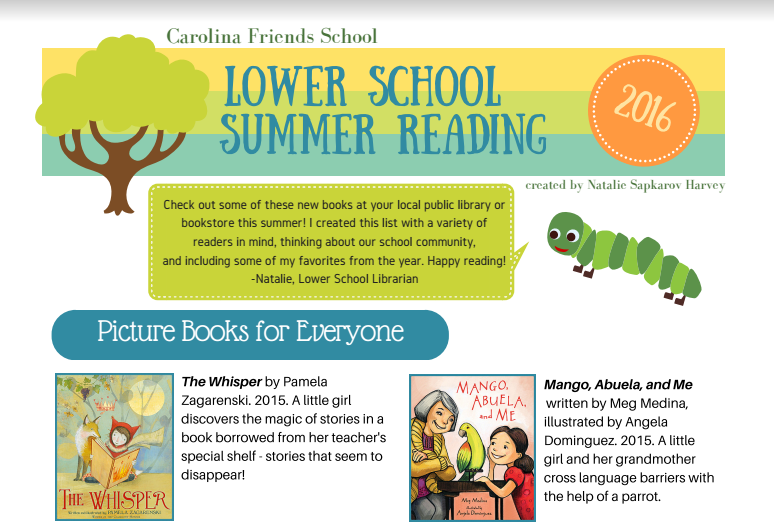 I have wondered about how to stay connected with students and their reading over the summer and have dismissed many ideas because I didn’t think they would work with our population. Send me a picture? Write me a letter? Blog about it? 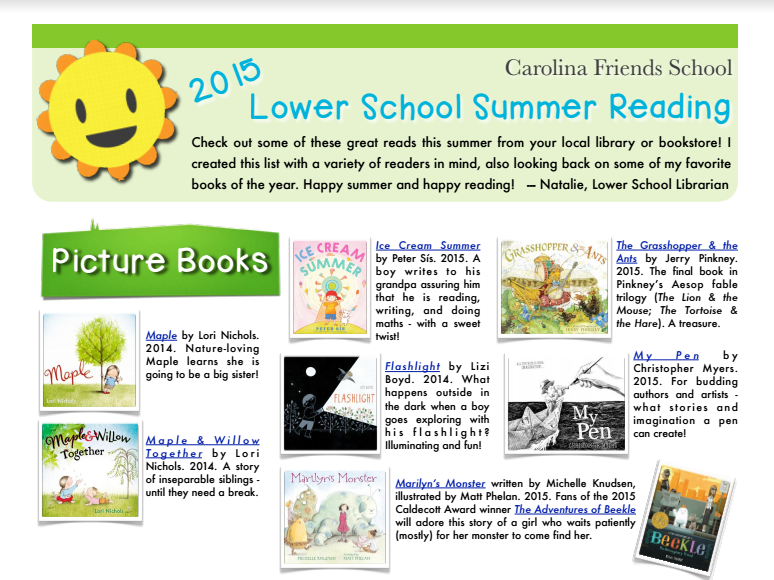 What’s a quick and easy way to collect and share our summer reading? I don’t know why I hadn’t heard of Flipgrid until just recently, but I feel like I am seeing it everywhere nowadays. 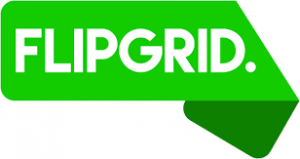 For those of you, maybe like me, who may not know what it is – Flipgrid is essentially a video discussion board. Imagine if Padlet and Voicethread had a baby (though I wonder about the ages of those two…). For my summer reading Flipgrid, I plan on taking video of myself talking to students about sharing their summer reading. Then, they can go to my Flipgrid page and add their own video about what they’re reading. In the end, I hope to have tons of videos of students sharing with me and each other. What I love about Flipgrid is how easy it is to use – go to the board, click the plus sign, and record yourself! It organizes the videos much in the same way as Pinterest, very neat rows, and students can watch each other’s videos. I’m looking forward to introducing this next month and might encourage some beta testers to add videos of what they want to read over summer break. Have you done anything similar? Advice to share? This entry was posted in Uncategorized and tagged pleasure reading, reading, summer reading, technology by Natalie Sapkarov Harvey. Bookmark the permalink. Thanks for this idea, Natalie. 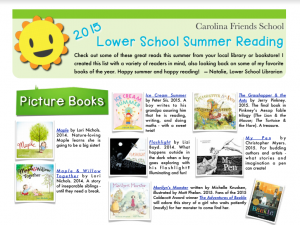 I cannot believe it is time to start thinking about summer reading, but it really is! I love this idea, Natalie!!! Totally stealing–thank you! Is it weird that I aspire to have a flipgrid set up like the Brady Bunch intro where we discuss books? This is awesome! What do you use to put them in the magazine format? !